As with much of director Yasujiro Ozu's work, a plot summary of this film does not do justice to the emotional power that Ozu lends to this sad, understated tale. An elderly couple, Shukichi Hirayama (Chishu Ryu) and Tomi Hirayama (Chieko Higashiyama), leaves their small coastal village in southern Japan to visit their married children in Tokyo. Their eldest son, Koichi (So Yamamura), a doctor running a clinic in a working-class part of town, is too busy to show them around town, and their eldest daughter is occupied with her beauty salon. Only their widowed daughter-in-law Noriko, played memorably by Setsuko Hara, is willing to take time off work to show the couple the sights of Tokyo. The older children arrange for their parents to visit Atami Hot Springs, but the unimpressed couple soon returns to Tokyo. Tomi stays with her daughter-in-law while Shukichi goes out drinking with some of his buddies, and the bunch complain about their vague sense of disappointment towards their children. Later, he stumbles into his daughter Shige's house late at night. On the way back to their village, tragedy strikes. The callous inattention that son and daughter paid to their parents becomes unamendable. Shige and Koichi quickly return to their busy lives in Tokyo after the funeral, as Noriko and youngest daughter Kyoko remain. Tokyo Story is widely considered both the best film of Yasujiro Ozu's long career and among the finest films ever made. It paints a quiet, nostalgic view of traditions and values lost in a changing society, seen through the lens of a single family's experiences. Old virtues, such as honoring one's parents, are pushed aside in the unrelenting tumult of the modern city. Tokyo Story showcases Ozu's idiosyncratic style in its maturity. Throughout the film, he shoots through a 50mm lens at a constant low angle, subordinates spatial continuity to the composition of a given shot, and punctuates the film with shots of empty space. Instead of using flashy cinematic devices, he focuses on the nuances of everyday life, which has the odd effect of lifting the film from mere melodrama to a meditation on the fleeting nature of human existence. 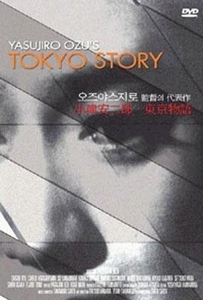 Tokyo Story shows a master director at the peak of his talents, producing one of the classics of world cinema.